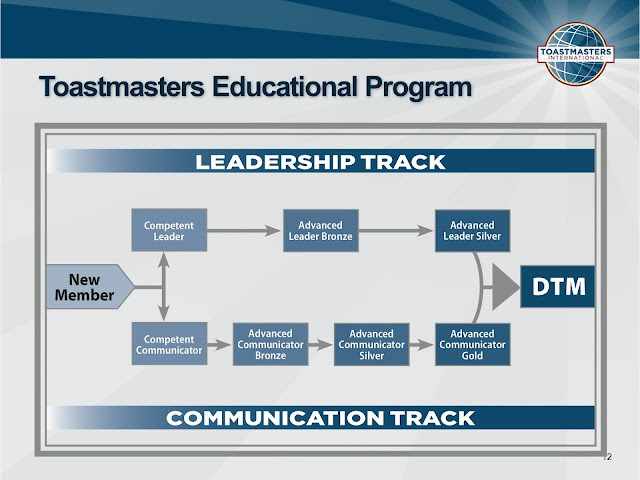 There are two tracks in the traditional program, the communication track and the leadership track. The core of the communication track is the Competent Communicator manual. It contains 10 speech projects to help you gain the basic skills needed to present an effective speech. The core of the leadership track is the Competent Leader manual. It contains 10 leadership projects to help develop the basic skills needed to be an effective leader. The two tracks are not mutually exclusive; you may participate in both at the same time, if you wish. There are many opportunities for awards and recognition along the way.